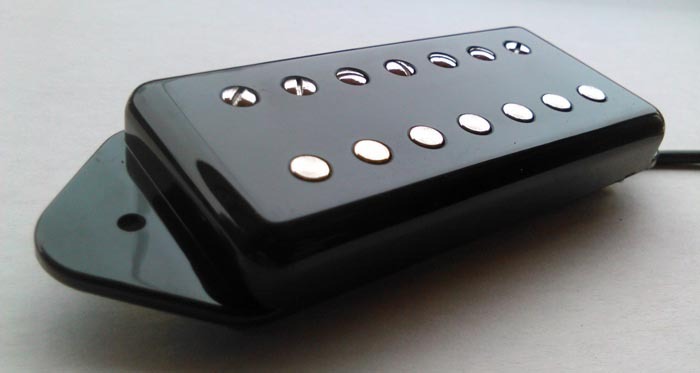 This is a regular size 6 string humbucker pickup built on P90 dog ear pickup baseplate. 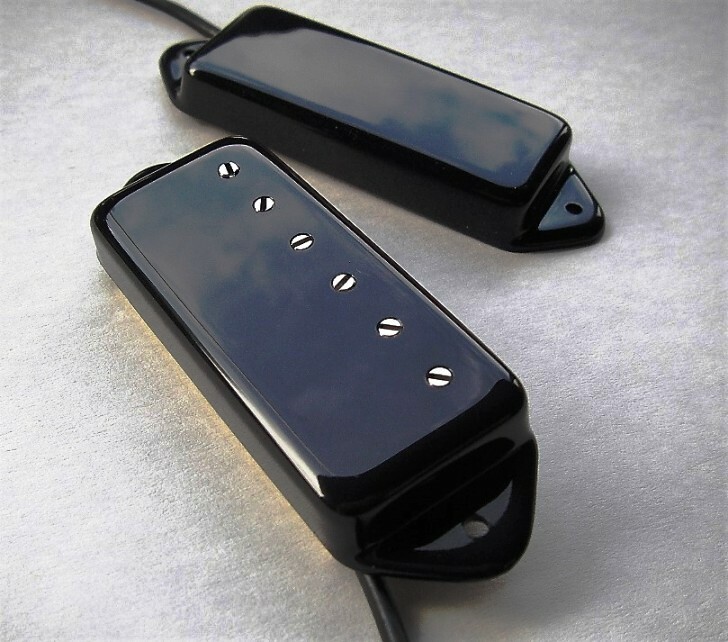 The pickup is a direct replacement for your P90 dog ear pickup and don't require modifications to your guitar. Available also with 12 pole screws. Can be also custom wound according to customer requirements. Cover colours: Black or cream. Lead: Two conductor shielded wire or four conductor shielded wire. 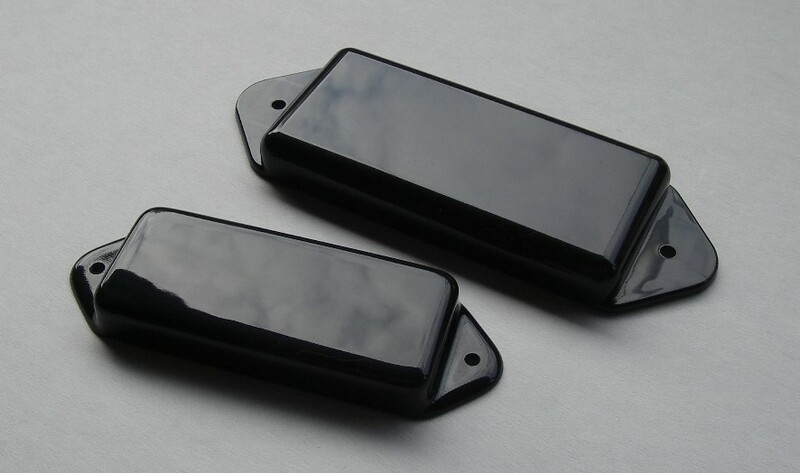 Rautia Custom Dog Ear humbucker set. 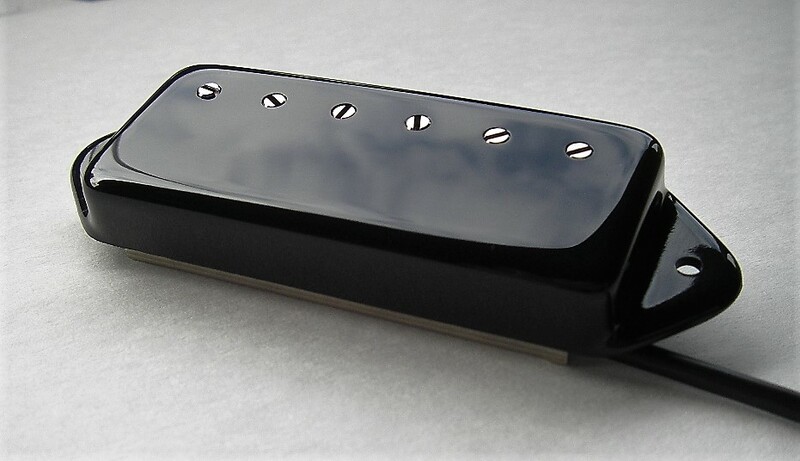 Bridge pickup: Alnico4 8.2 Kohm. Middle pickup: Alnico5 7.6 Kohm (P90). 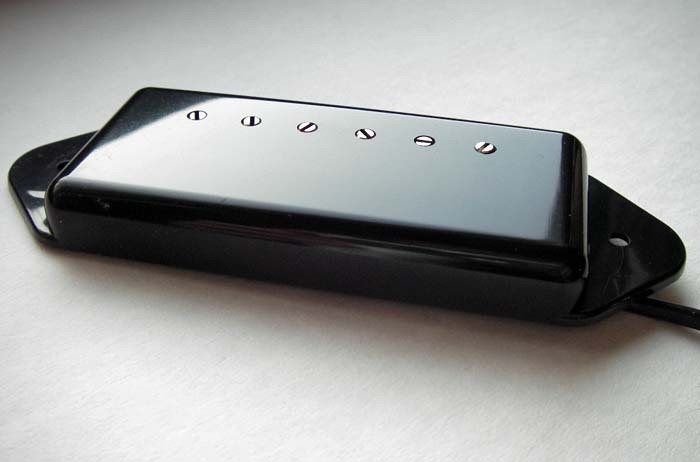 Neck pickup: Alnico5 7.5 Kohm. VuorenSaku Custom T Style guitar. 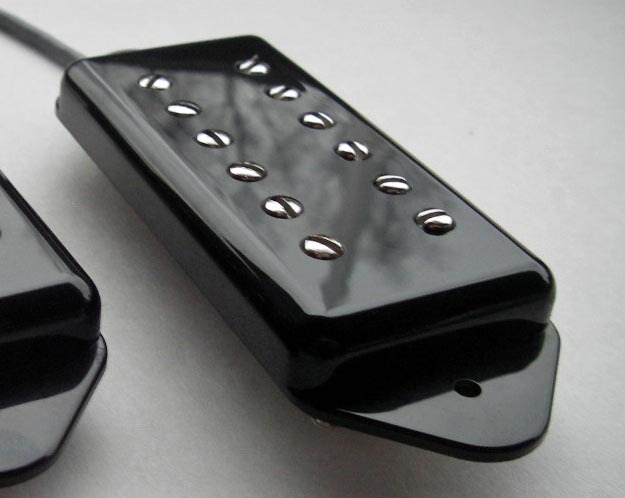 P90 dog ear pickup baseplate. For 7-string arch-top guitar for example. DogSmith humbucker built inside P90 Dog ear cover. The pickup uses same kind of inner construction as Johnny Smith mini humbucker, but with slightly bigger coils and magnet. More output and fatter tone. Works great on archtop neck position. This is a Mini Humbucker built inside a custom MINI DOG EAR COVER. The pickup is made especially for custom guitar builders and modifiers. The pickup don't fit into the P90 pickup cavity so it needs it's "own" special cavity. My -60's and -70's Minihumbucker models are available with this cover. Can be built also according to customer requirements. -Two conductor shielded wire, four conductor shielded wire.